Mel Levine, MD, America's top learning expert shows how today's society makes it hard for kids to grow into productive adults - and what we can do about it. Levine states, �Lives flow with heavy current, much like the open sea; they undulate through well-times waves, such as the preschool period, adolescences, and the so-called golden years of late life. Each arriving era brings its special challenges and opportunities, along with its unique stresses and pressures. A person may or may not be equipped to ride the next wave, to manage the requirements �obvious and hidden � of his or her latest time of life. A particularly challenging period is the opening stages of a life at work, the school-to-career years, a time that, although rarely though of as distinct, may be one of the toughest to traverse." Paperback 2006. 286 pages. 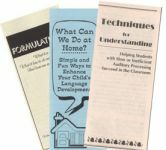 Louisa C. Moats, Ed.D., organizes tools for teachers to develop a knowledge of language foundations for teaching reading and phoneme awareness. Sale price $24 was $30 243 pp., paperback, 2000. Mel Levine once again uses stories and strategies to describe why "lazy" may be a difficulty with output production. In The Myth of Laziness, Levine isolates another group of kids--so-called "lazy" children who aren�t working up to their potential in school. He explores the causes of their low performance, scoffing at the perception that any child is lazy, stating that "everybody yearns to be productive." These children, according to Levine, are simply experiencing "output failure" due to different neuro-developmental weaknesses. 2003. Paperback, 270 pages. Steven G. Feifer, Ed.S., NCSP & Philip A. DeFina, Ph.D., have written this Diagnosis and Intervention Workbook to share their vast experience and expertise in the field with teachers and other clinicians. The Neuropsychology of Written Language Disorders: Diagnosis and Intervention Workbook discusses both language-based and nonlanguage-based written language disorders from a brain-based education model of learning. It is intended for school psychologists, occupational therapists, speech pathologists, special educators and school administrators. 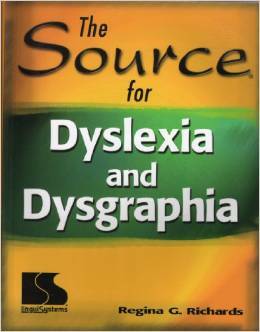 Some of the key chapters include: Shortcomings of Intelligence Tests Subtypes of Dysgraphia Working Memory and Written Language Executive Functioning and Written Language The 90 Minute Dysgraphia Evaluation Remediation Strategies for Dysgraphia 200 pp., softcover, 2002. Get comprehensive information on identifying, understanding, and diagnosing students with dyslexia and dysgraphia along with hands-on strategies and techniques for intervention. You will learn the processing styles inherent in dyslexia and dysgraphia to identify students at risk. Simulations are presented so that you can �experience� the issues. You will explore strategies and compensations for reading, spelling, and writing difficulties. These will help you to develop students� skills in phonological awareness, phonics, decoding, and encoding. There are two parts of this book. Part I covers understanding dyslexia and the common myths of dyslexia, understanding why students avoid writing and Levine�s first four stages of writing, symptoms of dyslexia and simulations, as well as the diagnostic process. Part 2 covers issues such as compensate or remediate, bypass strategies, interventions at breakdown points, phonological awareness, sound/symbol correspondence, decoding and encoding, spelling, the writing process, written expression, and strategies for recall.